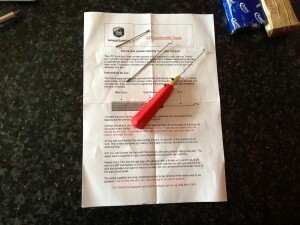 I have been very kindly sent some thumb turn wires from jay at Island Locks to test out and review. I’ve been playing with them for a couple of days now and I have also used them once onsite and it worked! Thumb turn wires are designed to help locksmiths exploit a weakness with oval and euro thumb turn cylinders. On certain brands of cylinder the wire can be inserted into the lock and spin the cam and the thumb turn knob without the need to pick the pins in the external plug of the cylinder. The Island Locks thumb turn wires can be ordered either as a complete set including wires and the handle which is used to grip them with or just as a set of spare wires only. If ordering just the spare wires make sure you already have something you can put them in to grip the wire because a handle of some sort is essential. The complete set comes with full easy to understand instructions and three different wires. The two looped wires look very similar and even when laid on top of each other still look almost identical. However there is a very slight difference between the two, this is to allow for slight differences in the size of key ways and internal cam mechanisms ect. The third wire is shaped more like a rake pick and should be used for cylinders which have a cog instead of a traditional cam. To open a cog cylinder you would need to use a progressive opening method, ie knocking the cam round a small amount at a time until the lock is open. Please note that the red handle is not the same as the handle normally supplied! The wires really do work, as stated in the instructions they don’t work on every brand but they do work on a lot of the brands I tested. Admittedly I couldn’t try them on a huge number of different brands as I was limited to the ones I had in stock at the time. I thought a good idea might be for me to just post a quick list of what I had tried the wires on and then to let you all add your own lists in the comments section of which brands can be done and which brands can’t. The only brand I tested which they didn’t work on was a British Standard Whinkhaus, unfortunately I didn’t have any other British Standard thumb turns to try them on but please feel free to add any locks you have tested to the comments below! The wires are very easy to use and don’t take much practice at all. Even if you have no knowledge of how the thumb turn mechanism works inside the cam you should still be able to get the wires working quickly just by following the few simple instructions which are included. The wire should be inserted with the loop facing upwards. 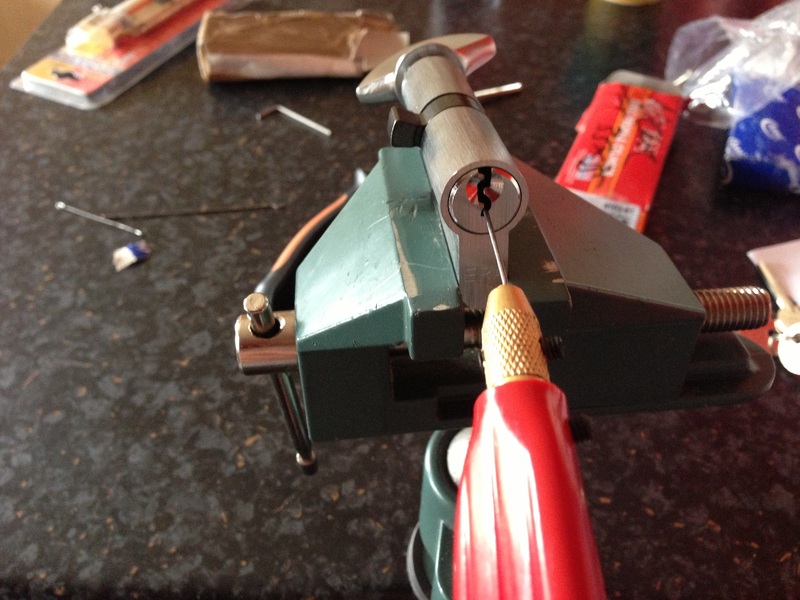 Sometimes you will need to depress the pins slightly as you insert the wire just to create enough space for the wire to go into the lock. Once the wire is in the key way push gently all the way to the back of the lock until you feel the spring load in the cam. Next you will need to slightly turn the wire left and right and also move the wire backwards and forwards a little bit until the wire catches the cam, once you feel the wire grip the cam continue to spin the wire in the opening direction until the lock is opened. 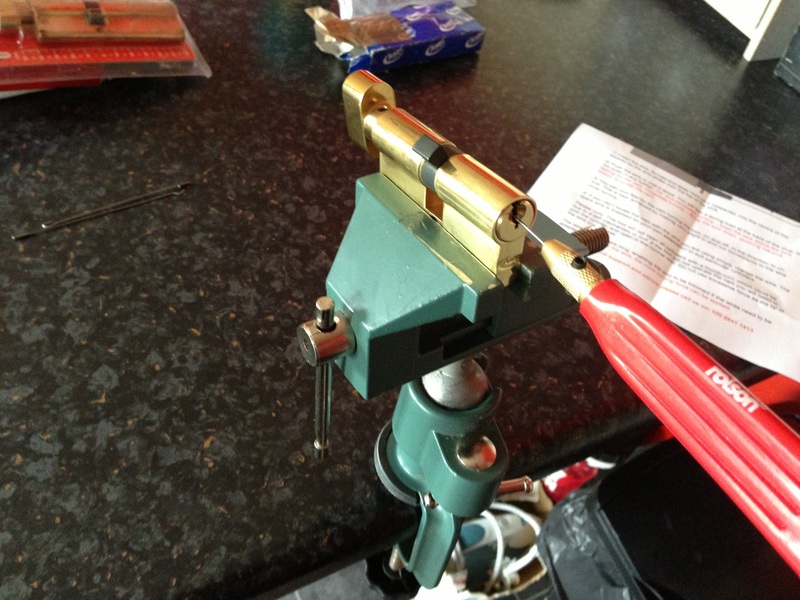 In the instructions that are supplied it says that to turn the cam anti clockwise the wire should be above the pins and to turn clockwise the pins will need to be pushed down so that the wire sits in the bottom of the key way. This does work really well but on two of the un branded cylinders I found the wire needed to be right at the bottom of the plug to turn the lock clockwise and anti-clockwise. 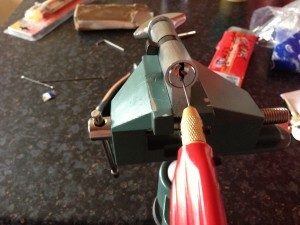 So this is definitely worth a quick try if you are struggling to open a particular lock. One thing to really watch out for is putting the wire into the key way too high up and pushing it in too far, if you do the wire can get trapped in the top of the cam and is really difficult to remove! As long as you are careful to get the wire into the middle or bottom of the cylinder this shouldn’t be a problem. I would honestly say that for the money they cost then YES they are definitely worth having in your kit. The wires really come into their own when you are up against a cylinder which is difficult to pick open. 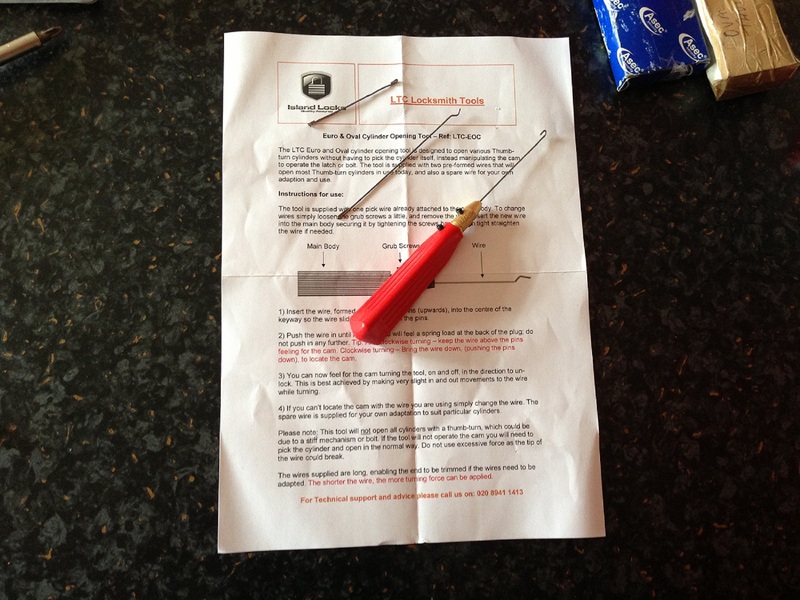 To purchase your own set of wires visit The Island Locks Tool Shop. I cant seem to get them to work on UAP, unless im doing something wrong. And your right, if you go in to high up they get stuck and I have sweated trying to get them out again.